Democracy is comin' to the USA. Muso of WA with the details. Why do the Left hate Trump so much? His song should be music to their ears. On 8 November 2016, the Parliamentary Joint Committee on Human Rights was directed to enquire into whether the operation of Part IIA of the Racial Discrimination Act 1975 (Cth) (including sections 18C and 18D) imposes unreasonable restrictions on freedom of speech - here are the full terms of reference. The inquiry is about whether 18C goes too far. The terms of reference are clear - does 18C already impose unreasonable restrictions on freedom of speech. Predictably, Islamists and their boosters have ignored the terms of reference. The submissions from Muslim organisations call for an increase in the scope of 18C to include not just racial issues but religious insults. They've already got beheading for insulting their prophet. What more do they want? Australia’s Grand Mufti Ibrahim Abu Mohammed. Australia’s Grand Mufti has called for Muslims to be given the same protections as ethnic groups under section 18C of the Racial Discrimination Act, saying the law must be “strengthened”, not weakened, in the interest of minor­ities. The push to broaden the act is already drawing criticism from conservative government MPs, with one Liberal senator warning it would be tantamount to creating a “national blasphemy law”. Ibrahim Abu Mohammed, the Grand Mufti since 2011, has added his voice to a growing backlash from community, relig­ious and ethnic groups against reforming section 18C, in a cam­paign that will test Malcolm Turnbull’s ­resolve to change the law. Australia already suffers from a herd mentality in public discussion of issues. With such little diversity of opinion we can ill afford further restrictions on what can and can't be discussed. One issue the public should consider is the extent to which its interests are served by media outlets. For years now Sydney has been diminished by the thuggish freeloading presence of Ray Hadley at 2GB. Hadley inherits Alan Jones's audience and proceeds to decimate it over the following hours. His personal insecurity and associated over-reactions to perceived personal threats do us all no good and some women particular harm. His presence is less than tolerable when his propensity to violence and intimidation is considered. 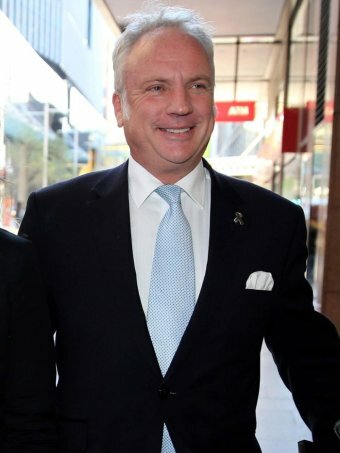 It was for good reason that Hadley's boss described him as a "psychopathic bully" in email evidence discovered during Hadley's bullying court appearances. But the greater risk to us all is his oafish absence of intellect and judgement. Hadley had me removed from 2GB in June 2014. We asked what you think of 2GB's decision to cancel Michael Smith and this is what you said. Mr Smith said on his website he stood by his comments. Here's Hadley's rant - not designed to promote the truth, expand the debate or uncover inaccuracies. It was sly, conniving Hadley at his usual sneaky routine of taking a cheap shot at an adversary. Sydney - you deserve better than this paper thin very bad impersonator. How 2GB runs its rosters is a matter for it. Free speech has a broader ownership base. Ray Hadley's presence as one of very few public voice diminishes us. Hadley's time has past.